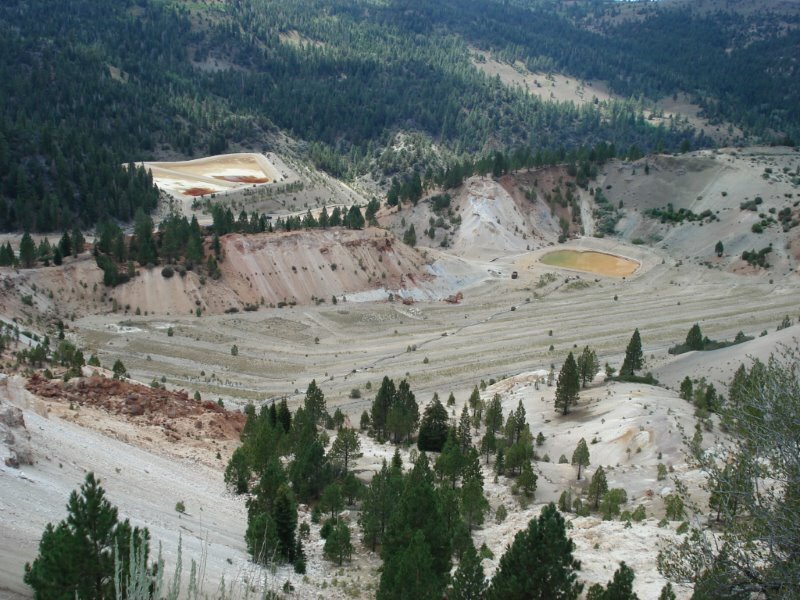 We are pleased to be able to report that our clients, the Lahontan Regional Water Quality Control Board and other California state agencies, finalized a settlement regarding the Leviathan Mine Superfund site near Lake Tahoe. The settlement resolves a lawsuit brought by the Atlantic Richfield Company (ARCO), successor to the former mine owner and operator. ARCO sought to hold the defendants liable for all cleanup costs, based upon a settlement agreement from 1983. The parties reached an agreement in principal on the third day of an anticipated six week trial, but it took some time to finalize the settlement due to its complex nature and the anticipation that the site will require active remediation for hundreds of years or more. ARCO is currently conducting an investigation with the goal that a final remedy will be selected in the next few years. The settlement provides for, among other things, ARCO to complete the investigation and the Water Board to construct and operate the remedy, with the majority of funding (75% for construction and 70% for operation and maintenance) being paid by ARCO. A copy of the Water Board press release can be viewed here and a copy of the settlement is available here. For more information or to register for the program please click here. Tom Bloomfield is a national expert in CERCLA litigation and settlement. A practitioner of environmental law for over twenty years, Tom spent seven years as an award-winning CERCLA attorney for the U.S. Environmental Protection Agency and the last decade achieving exemplary results for his clients as a senior attorney with The Gallagher Law Group in Boulder, Colorado. Mr. Bloomfield represents clients in large environmental cleanup cases, and has extensive experience litigating complex environmental matters and negotiating environmental settlements and cleanup documents. Mr. Bloomfield also maintains an active practice representing clients on oil and gas and energy matters, including climate change. He speaks regularly on CERCLA and energy policy issues. He is also a trained mediator. Additional information about the new PHG, including technical support documents, public comment and responses and a fact sheet, can be found here. (1) Changes in technology or treatment techniques that permit a materially greater protection of public health or attainment of the public health goal. (2) New scientific evidence that indicates that the substance may present a materially different risk to public health than was previously determined. California Health and Safety Code, section 116365(g). (2) With respect to carcinogens, or any substances that may cause chronic disease, avoids any significant risk to public health. California Health and Safety Code, section 116365(a). In practice, most MCLs are set at higher concentrations (e.g. less stringent) than the PHG. Specifically, of the 87 drinking water contaminants with MCLs and PHGs, 54 have an MCL greater than the PHG. Some are significantly higher. For instance, arsenic has a PHG of 0.004 ppb and an MCL of 10 ppb. Cadmium has a PHG of 0.04 ppb and an MCL of 5 ppb. If the state elects to lower the MCL for perchlorate, that more stringent standard has the potential to increase costs to water purveyors and water users. For example, while there are some industrial sources of perchlorate due to weapons manufacturing, fireworks manufacturing and other industrial activities, perchlorate also exists in groundwater due to farming and natural sources. In Southern California citrus orchards, Chilean nitrate fertilizer was in wide use this last century. Naturally occurring perchlorate can also exist and is well documented in semi-arid regions. Both of these non-industrial sources can produce perchlorate in groundwater at concentrations greater than 1 ppb. I am pleased to announce that I will be speaking in an upcoming Strafford live webinar, “Settling CERCLA Cases: Executing an Effective Strategy” scheduled for Tuesday, February 24, 1:00pm-2:30pm EST. CERCLA litigation typically involves numerous players, and a result CERCLA settlements present complex legal and strategy issues. The CERCLA plaintiff must consider with whom it will settle, how to negotiate the best deal, the standard that will apply to the settlement, what protection the settling defendants will receive from future claims and the effect of the settlement on the balance of plaintiff’s claims. Careful navigation of these issues is necessary to maximize the amounts recovered in settlement, minimize the likelihood of further litigation and protect the plaintiff’s ability to seek contribution and cost recovery from other parties. When settling CERCLA cases from a defense perspective, counsel must establish and carefully implement a settlement strategy that minimizes settlement obligations and adequately protects the client from future claims. Many CERCLA defendants focus on the risk of future CERCLA 107 or state law claims. These are important considerations; however, there is also a risk that non-parties may file a RCRA citizen suit. There is conflicting law on this—some cases hold that such claims are not barred unless specific RCRA statutory criteria are met, while others hold they are barred as disguised contribution claims, and yet others hold that such claims may be barred for other reasons. All settling parties need to evaluate whether to work with a PRP group or individual parties to strengthen settlement negotiations. Another important consideration is whether to bring in the government if it is not already invovled. Our panel will provide guidance to counsel for parties of CERCLA litigation on settlement strategies and implications, for both plaintiffs and defendants. The panel will examine potential future claims the parties may face, the need for careful consideration when determining with whom to settle, strategies to maximize settlement recoveries for plaintiffs, minimize settlement payments for defendants, maximize protections for settling defendants and the order in which to settle. The panel will offer best practices for executing the settlement strategy, both for private party CERCLA settlements and settlements with the government. What factors should plaintiffs consider when determining with whom to settle? How does a settlement with a state or federal government affect the claims of the settling parties? What if the settlement involves only private parties? What is the scope of protection available to settling defendants? What can be done to maximize that protection? What steps can counsel take when settling CERCLA litigation to reduce the likelihood of future claims? Tom Bloomfield was recently honored with an award of an “AV Preeminent Rating” by Martindale-Hubbell, placing him among the elite practitioners in the country. The AV Rating is the highest possible rating given by LexisNexis Martindale-Hubbell Peer Review for a lawyer and is established wholly on a peer-review basis. This designation signifies that Tom has been rated by judges and fellow attorneys as having the highest possible rating for legal abilities and ethical standards. The Martindale-Hubbell Peer Review Ratings were created in 1887 and are one of the most prestigious and widely respected lawyer rating systems. The ratings are driven by the confidential opinions of lawyers and members of the judiciary who receive invitations from LexisNexis Martindale-Hubbell to provide reviews of lawyers of whom they have professional knowledge. The Martindale-Hubbell AV Preeminent Rating is an objective credential widely sought after in the legal world. Tom practices out of The Gallagher Law Group office in Boulder, Colorado, where he represents clients on environmental, natural resource, and energy matters. More details and specific client and peer reviews can be accessed by visiting Tom’s Martindale listing at http://www.martindale.com/Thomas-A-Bloomfield/236625-lawyer.htm. A Colorado Court of Appeals, in a two to one decision, affirmed the dismissal of a lawsuit filed by the Colorado Mining Association (CMA) challenging the state Air Quality Control Commission’s (AQCC’s) adoption of Colorado’s Regional Haze plan. This plan was crafted to meet federal air quality requirements, and included critical strategies stemming from Colorado’s landmark Clean Air, Clean Jobs Act. The Court affirmed that the CMA lawsuit challenging the AQCC decision was moot. The General Assembly expressly approved the plan in 2011, in a bill known as HB 11-1291, which was signed into law by the Governor. CMA failed to challenge that statute, so a court order declaring the AQCC’s procedures invalid would have no practical effect, and is moot. Colorado’s Regional Haze plan, approved by the U.S. EPA in 2012, is a bipartisan clean air plan that includes a suite of cost-effective air pollution reductions. Emissions reductions from the plan will cut Denver’s “Brown Cloud,” curb summer smog across the Colorado Front Range, protect Rocky Mountain National Park and reduce dangerous carbon pollution. Colorado’s Clean Air, Clean Jobs Act demonstrates that smart, bipartisan state-driven solutions to our nations clean air challenges are durable and put Colorado on a solid path towards meeting upcoming air quality and climate challenges. The approved SIP will reduce emissions by more than 70,000 tons per year by 2018, more than half of which arise from the Clean Air, Clean Jobs plan. These reductions will generate more than $200 million per year in public health benefits. These substantial environmental and public health benefits arise in large part from the retirement and replacement of the coal-fired power plants in the Denver-metro area. In fact, several of the plants have already been retired, and work to construct the gas-fired units is well underway. Tom Bloomfield of The Gallagher Law Group, represented a coalition of environmental and conservation organizations in a series of administrative hearings before the AQCC and the Public Utilities Commission, at the trial court and on this appeal. His clients include Western Resources Advocates, Environmental Defense Fund, Sierra Club, Environment Colorado and Conservation Colorado. In Re Colorado Regional Haze State Implementation Plan, CO Air Quality Control Comm’n, Env’l Coalition Rebuttal Statement, 1-2 (Dec. 27., 2010). Colorado announced a groundbreaking proposed rule that will greatly reduce methane and smog-forming ozone chemicals in Colorado from the oil and gas production sector. The Environmental Defense Fund (EDF) collaborated with Noble Energy, EnCana Oil and Gas, Anadarko Petroleum and the state to develop the regulations. Tom Bloomfield of The Gallagher Law Group represented EDF in connection with the development and negotiation of the draft rules. The development was widely reported in national and state media. The Colorado Department of Public Health and the Environment projects that the rules will reduce smog-forming volatile organic compounds (VOCs) by 92,000 tons per year, which the state says is equivalent to removing the pollution from all cars from roads in the state. The state estimates that the rule will reduce man-made VOC emissions in the state by twenty percent. The rules will also reduce methane emissions by many tens of thousands of tons each year. Methane is at least 28 times more powerful than CO2 as a greenhouse gas over the long term and at least 84 times more potent in the near term. The regulations would be the first in the nation to directly regulate methane from oil and gas production facilities. Among other things, the regulations would require the use of technology, such as infrared cameras, that is capable of detecting leaks from tanks, pipelines and other equipment that otherwise may not be discovered using other more conventional means. For the largest sites, the rules will mandate monthly instrument based inspections. The rules will require operators to systematically look for leaks and quickly repair them once detected. Require existing glycol dehydrators to control hydrocarbon emissions by 95% . The collaboration between groups like EDF and leading energy companies provides a model for developing effective, practical regulations, based on sound science and modern technology. The process and proposed rule can lead to greater accountability transparency and public trust. These draft regulations provide a national template for rules to monitor, control and reduce methane leaks and VOC emissions from the oil and gas sector. Our client, the County of San Bernardino, has entered a settlement with Goodrich Corporation to address contamination in the Rialto-Colton Groundwater Basin, after almost a decade of contentious litigation. The settlement, which also includes the United States EPA, the United States Department of Defense, the Cities of Rialto and Colton, and United Technologies Corporation (which purchased Goodrich), will require Goodrich to perform various investigation and clean-up activities to address releases of perchlorate and other chemicals from the B.F. Goodrich Superfund Site in Rialto, California. Goodrich and the County, along with the other parties, executed mutual releases in the settlement and the settlement also provides contribution protection for the County. The settlement entered into with Goodrich, coupled with related settlements, provides for dismissal of all appeals challenging earlier settlements that were entered into in favor of our clients. The settlement was reported in the Los Angeles Times, and other media. This global resolution is made possible by the initial settlements we negotiated for our clients in 2008, which served as a key catalyst for the current round of settlements. These earlier private party settlements secured a federal court order barring claims of other defendants against the County (and related parties), whether alleged under CERCLA section 107, CERCLA section 113, or common law. The federal court order was issued pursuant to common law because the settlement was not a settlement with a state or the federal government pursuant to CERCLA section 113(f)(2), but instead was a settlement with local governments (the Cities of Colton and Rialto). Several parties appealed that order (and a similar order in favor of Zambelli Fireworks who we also represent in this matter) to the Ninth Circuit. All appeals of that order will be dismissed as part of the current round of settlements. The Goodrich settlement requires Goodrich to conduct groundwater monitoring, testing, and engineering analyses to assist EPA in selecting a remedy for the B.F. Goodrich Site. Furthermore, Goodrich must design, build, and operate the cleanup facilities necessary to implement the cleanup selected by EPA. Goodrich will be responsible for at least $21,500,000 of the cost of this cleanup. Other amounts will be paid by contributions from various settlements, the United States Department of Defense, and additional payments by Goodrich as needed. The EPA will publish the proposed settlement in the Federal Register for public comment and then it is anticipated the United States will move for the court to approve and enter the settlement. This settlement, combined with other settlements addressing contamination in the Rialto-Colton Basin, will secure comprehensive remediation of the groundwater and soil contamination at the B.F. Goodrich Superfund Site and nearby areas. The complex series of lawsuits over contamination in the Rialto-Colton Basin involves over fifty parties and response costs are estimated to be in excess of $150 million. Overall, the most recent settlements should bring global resolution of this case. The range of settlements in this case demonstrate different paths to resolving liability in the context of large, multi-party CERCLA litigation. Following questions raised regarding the scope of the CERCLA section 113(f)(2) contribution bar by the Supreme Court, parties are now forced to implement new strategies in an effort to obtain finality in settlements. The protracted settlement negotiations in this case also highlight the difficulties in reaching a global resolution in such cases. The Federal District Court, Central District of California, yesterday approved another CERCLA settlement in the long-running perchlorate litigation in the Rialto-Colton Basin, San Bernardino County, California, which we negotiated on behalf of our client, the County of San Bernardino. The settlement concerns the B.F. Goodrich Superfund Site and other nearby properties, which are alleged sources of perchlorate and trichloroethylene (TCE) contamination to groundwater. The settling defendants are persons or entities involved in the fireworks business, all of whom had a connection to a property known as the Stonehurst Site. That property had been used for many decades in the manufacture and assembly of fireworks, and is an alleged source of contamination to groundwater. Pursuant to the settlement, the settling defendants will pay $5.663 million, which will be split among the U.S. EPA and three local governments, including the County of San Bernardino. No person or entity filed any challenges to the settlement and the Court approved the settlement without a hearing. In a companion settlement with the California Regional Water Quality Control Board, Santa Ana Region and State Water Resources Control Board, the settling defendants will install and maintain a cap on the Stonehurst Site and employ other institutional controls. We represent the County of San Bernardino and negotiated the settlement to secure not only the installation of the remedial cap and institutional controls, but also payment to our client of a portion of the settlement proceeds. This is the third judicially-approved settlement so far in this litigation, and the prior two settlements also involved our clients (the County and other clients). Additional settlements in this case are expected to be finalized within the next several months, including settlements with the Emhart Corporation/Black and Decker, the Goodrich Corporation, and other parties, which should effectively bring to an end this very contentious and lengthy federal litigation. Tom Bloomfield was recently featured in the front page article in Law Week Colorado regarding the oil and gas regulations adopted by Boulder County. The county updated older regulations in response to new technologies such as fracking and anticipated further development in the county. The article can be found here.